• In moving quickly to sign Ricky Nolasco and Phil Hughes early in the offseason the Twins seemingly signaled two things: One is that they really liked Nolasco and Hughes, believing they both represented good value within the context of this offseason's free agent starters. Beyond that, it also suggested that they felt the consensus top-tier starters from the class weren't worth parting with a draft pick to sign or would end up being out of their price range. Or both. Garza missed some time with arm problems in 2012 and 2013, so Nolasco has a large innings edge from 2011-2013, but in terms of actually preventing runs Garza was much better. 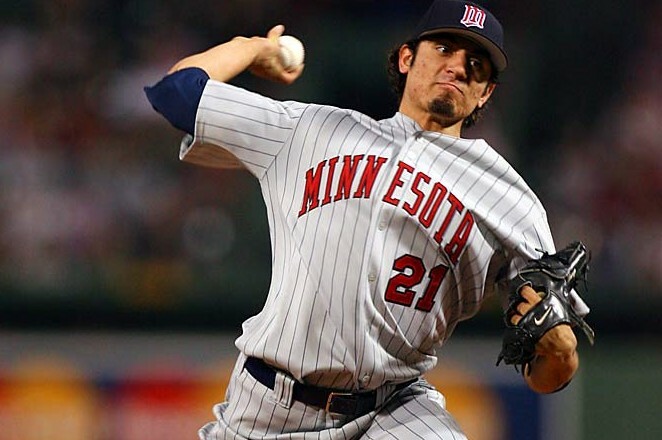 During that three-year span Garza posted a 3.62 ERA, compared to 4.29 for Nolasco, and within that he struck out 27 percent more batters while holding opponents to a batting average 34 points lower in less pitcher-friendly environments. His fastball velocity was also 3.4 miles per hour higher. However, a lot of Nolasco's somewhat bloated ERA during that time stems from a .314 batting average on balls in play, which was the second-highest among all 84 pitchers to throw at least 400 innings from 2011-2013. By comparison Garza had a .293 batting average on balls in play during that same time, which was right in the middle of the pack. If you assume that the defense behind Nolasco was mostly to blame for all those extra hits falling in the two pitchers look much closer. Expected Fielding Independent Pitching (xFIP) attempts to remove luck from the mix by focusing on the factors a pitcher can control and Garza had a 3.46 xFIP from 2011-2013, compared to 3.76 for Nolasco. In other words Garza was still clearly better than Nolasco during the past three years, but it wasn't as large of a gap as their ERAs suggested and the gap shrinks even further once you account for durability. With that said, for the same price tag I'd rather have Garza than Nolasco. 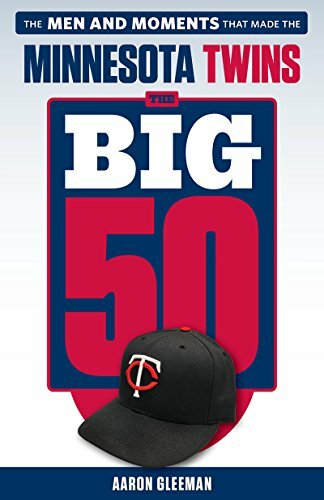 • When the Twins signed Kurt Suzuki to a one-year, $2.75 million deal I noted that the biggest worry was Ron Gardenhire falling in love with the veteran and choosing to play him far more often than his performance warrants. Turns out it may not even take Gardenhire falling in love with Suzuki for that to happen, as Terry Ryan has already gone from hinting that Suzuki rather than Josmil Pinto will be the starting catcher to basically saying Suzuki has the job locked up. Pinto may prove incapable of being a decent defensive catcher, but his offensive upside is sizable and at age 25 there's a chance that he could develop into a good all-around catcher. Meanwhile, in the past three seasons Suzuki hit .235/.290/.353 while throwing out just 25 percent of stolen base attempts and rating very poorly in pitch-framing analysis. Suzuki hasn't been a starting-caliber catcher since 2009 and the Twins are likely to be mediocre at best, so why not let Pinto play? • This week MLB.com, Baseball Prospectus, and ESPN.com all published their annual top 100 prospect rankings and Byron Buxton holds the top spot on each list. Buxton will also soon be named the No. 1 prospect by Baseball America when their list comes out. My annual series ranking and profiling the Twins' top 40 prospects kicks off next week, covering five prospects each day in countdown form. 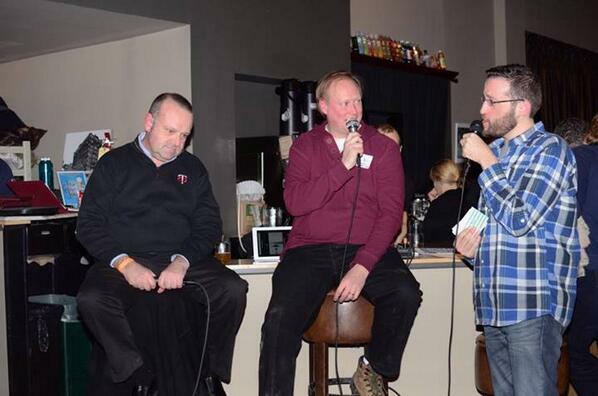 • This week's "Gleeman and The Geek" episode was recorded live in front of a 300-person crowd at Twins Daily's inaugural "Winter Meltdown" event, with special guests Twins president Dave St. Peter, former Cy Young runner-up Scott Erickson, and Miguel Sano documentary filmmaker Jon Paley. Come for St. Peter getting laughs at my expense and stay for Erickson telling dirty stories. 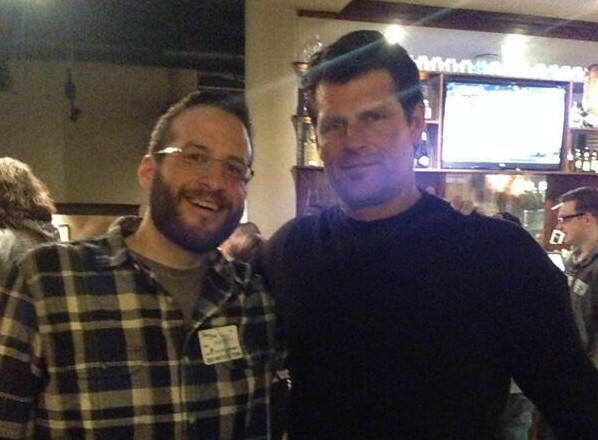 This week's "Gleeman and The Geek" episode was recorded live in front of a 300-person audience at Twins Daily's inaugural "Winter Meltdown" event, featuring special guests Twins president Dave St. Peter, former Cy Young runner-up Scott Erickson, and Miguel Sano documentary filmmaker Jon Paley, along with appearances by Parker Hageman and Seth Stohs. 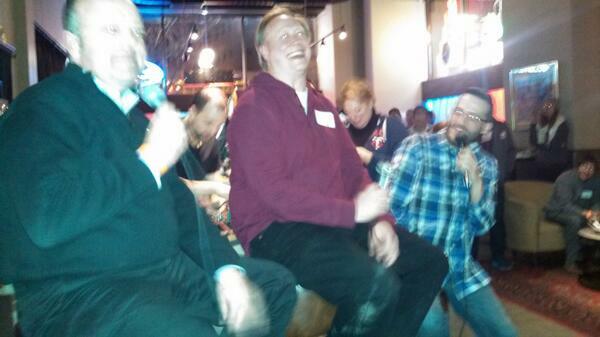 Listen as St. Peter gets laughs at my expense and Erickson wows the crowd with his handsomeness. • Saturday night's Twins Daily event is almost sold out again even after jamming in some more tickets, but we're hoping to record the panel discussions for a podcast that everyone can listen to later and you can submit questions for Twins president Dave St. Peter and my mom's all-time favorite player Scott Erickson. • Grantland's oral history of "Swingers" is really good and nicely presented too. • I never knew goats fainting was an actual thing, but now it's all I can think about. • If you're like me and think the law banning the sale of alcohol on Sundays is outdated, absurd, and annoying you'll want to sign this petition. It's the only political cause I've ever cared about. • Having an essay in the new "Baseball Prospectus" book is one of the great thrills of my life and 18-year-old me would be giddy. It's ready for pre-order, with February 11 as the shipping date. • Mike Axisa of CBSSports.com put together an all-time single-season Twins team, although including the Senators kind of ruins it for me. 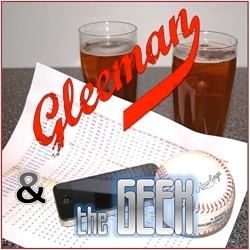 • On this week's "Gleeman and The Geek" episode John Bonnes couldn't stop laughing at me for being a human man who may or may not have attended a kite festival. Patrick Roy seems like a maniac. • This is my personal brand now. • Three months ago police killed a guy in my neighborhood and now there was a SWAT team standoff, which is why I'm moving to Uptown for some peace and quiet. • It wasn't really my style, but if you're looking for an apartment in Uptown that's spacious and charming with a really nice landlord go check out this place. • If the Uptown move doesn't work out I'm thinking of just buying the house from "Roseanne." • President Carter, Young Money Democrat. • I'd kind of like to make a mockery of the Star Tribune's "crush contest," so go vote for me. UPDATE: Mission accomplished, I guess. • Ricky Rubio was the cutest, again. • Friend of AG.com Maggie LaMaack's unstoppable, take-no-prisoners media blitz continues, including this gem: "LaMaack, meanwhile, has shattered her iPhone again." • If you don't know a woman who would wear these you're doing something wrong with your life. If you're curious, he called that "super-manning" the beer pong table. • This is what it looks like when I dress up and pretend to like soccer in the name of friendship and morning drinking. 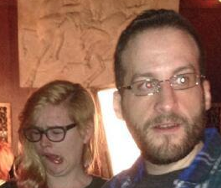 And I apparently saw something incredible happen. • Possum Plows' latest is a Frank Ocean duet cover, which as you might expect is directly in my wheelhouse. • Phil Mackey is Judd Zulgad's new co-host on 1500-ESPN, replacing Jeff Dubay and leaving Patrick Reusse on his own in the afternoons. • I loved Morgan Murphy's new stand-up comedy special on Netflix. • Hannibal Buress is coming to the Varsity Theater next month. I saw him at Acme Comedy Company last year and he was fantastic. - "Was Denard Span once called the next Kirby Puckett?" - "Former friends catching up"
- "Are people nicer now that you've lost weight?" - "Marc Maron hair transplant"
- "Lizzy Caplan facial hair"
- "Did Joe Mauer switch teams?" - "Why do men have beards?" - "Aaron Gleeman at Stella's in Uptown"
- "Traveling to New Zealand"